Drones have been getting a bad rap, but a company focused on the ability of drones to collect data is revealing their power to solve some of the world’s food and environmental problems, writes ARTHUR GOLDSTUCK. 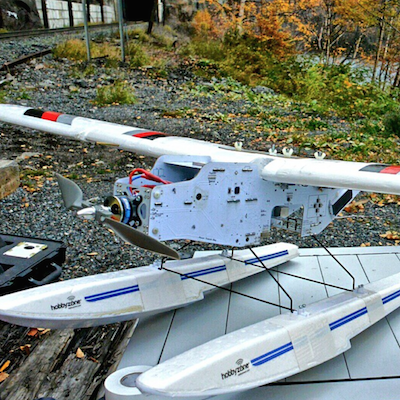 Drone aircraft have been getting bad press lately. Most often associated with remote-controlled warfare at one extreme and children’s toys at the other, the industry is also besieged by concerns ranging from privacy worries to fears of endangering commercial aircraft. A near-collision between a passenger plane and a drone over Florida this year highlighted the potential for disaster. Amid the clatter of raised voices and drone propellers, however, a serious industry is beginning to emerge around UAVs, as Unmanned Aerial Vehicles are coming to be known. According to a trade group called Unmanned Vehicle Systems International, drones will become a $82-billion industry by 2025,employing 100 000 people. Ironically, it is not the technology itself that is exciting investors. The business approach to drones was neatly encapsulated by Lia Reich, director of marketing for drone data capture company Precision Hawk. When one first encounters the vehicle for this delivery, it’s easy to forget that it is merely a means to an end. The “Lancaster” looks like a model aircraft with a wingspan of just over a meter and weighing less than 2kg. But it is loaded with up to 15 sensors, which can be adapted depending on the mission. These include visual, thermal, multispectral and hyperspectral sensors. 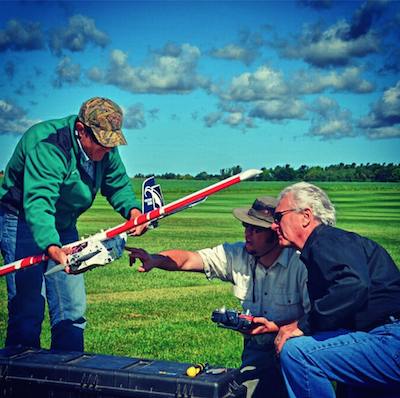 The latter sounds like something from Star Trek, but has true down-to-earth applications: it’s used for plant health measurement, water quality assessment, vegetation index calculation and mineral and surface composition surveys. A radar sensor can be used for 3D digital surface modeling, stockpile calculation and flood mapping, among many other purposes. Little wonder that Precision Hawk goes to great lengths to avoid the hype often associated with drones, describing its service as a “solution for aerial data gathering, processing and analysis to provide actionable information to clients across a wide range of civilian industries”. "We don't see drones as toys, but as tools," said Reich. A former sports marketer, she has been with the company for a little more than two years, which would be a short stint in almost any other industry. 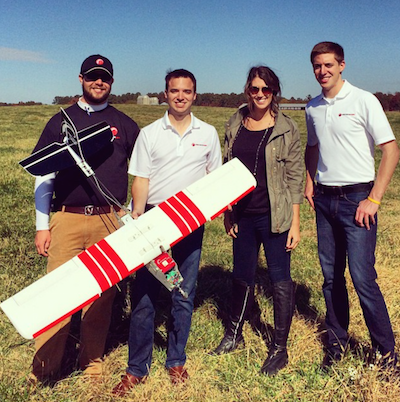 In the drone world, she has seen the birth of an industry, and of her company: it was incorporated only in May 2013. 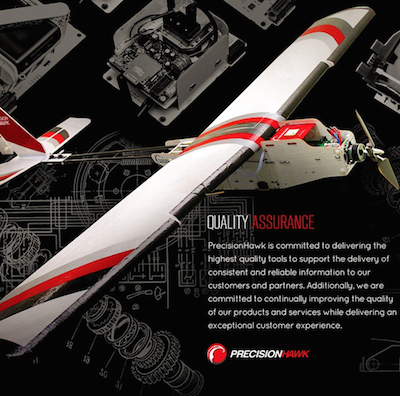 Precision Hawk soon received angel investment from Bob Young, founder of open source pioneers Red Hat, and then went for the big time: they approached Intel Capital, the venture capital arm of the world’s biggest silicon chip maker. “When they walked in we scratched our heads and said, why is it relevant to us?” said Arvind Sodhani, Intel Capital president, speaking at the company’s Global Summit, where it announced 16 new investments. And one of them was Precision Hawk. For Ernest Earon, CEO and co-founder of Precision Hawk, it goes a lot further: this is a solution tailor-made for solving some of the problems of the developing world. “Technologies like this, which are really designed to enable people to do more with less, are really suited to where there is a lot of financial and environmental stress,” he said while showing off the Lancaster. “Where there are challenges to growing crops because of changes to climate, where there is drought stress or water stress, you need to identify when that will happen and take action sooner. Earon revealed that this was one of the reasons Intel Capital was approached. The investment wasn’t massive by Silicon Valley standards – a “mere” $10-million, invested in partnership with Millennium Technology Value Partners of New York. The intention was not to take a controlling stake, but rather to come in as a partner and help shepherd a promising technology into a global market. And Africa is very much on the radar. There is no limit to the opportunities and applications, however. As Reich quipped, these are not just flying cameras.